Phuket is named as “The Pearl of Andaman Sea”, located on the west coast of Andaman Sea, Thailand which is the part of India Ocean . 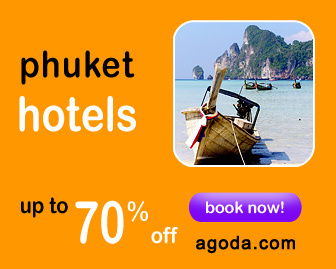 Phuket is the biggest island in Thailand which is in the southern part of the country. It is divided into 3 districts as Muang, Thalang, and Kathu district. The total area is around 543 sqkm, this brings Phuket in having many things to do such as diving, snorkelling, relaxing on the beaches, seeing sunset and views at the view points, playing water sports, enjoying nightlife and etc. Phuket City Tour and Mini Safari - Enjoy around Phuket City Plus Elephant Trekking and Show ! Racha Yai is a relative small island 24 km southeast of Chalong pier on the east coast of Phuket.